I teach a K-2 moderate/severe Special Day Class for students with autism. I’d really like to see the school design process address the needs of students with all learning styles, and my hope is that the new permanent Superintendent will have the experience to lead and support real grassroots school transformation. For me, redesigning schools means that we redesign a school that works for kids: from the classroom experiences, to the schedules, to the student and family support services including therapeutic services. I’d like to see serious time and energy spent on connecting teachers and parents, professionally developing teachers, and showing teachers how to spend time building rapport with parents while building individualized curriculum. I’m in my sixth year teaching, and our school, Emerson Elementary School, is part of the district’s school redesign process, the Elevation Network. I supported this work in theory as a way for us to provide a better experience for students and families and bring families back to OUSD. As part of the redesign implementation at Emerson, the design advisory recently met at 3 p.m. Only one parent could come and she admitted it was because she was privileged enough to have a job she can duck out of without notice. I’ve seen this pattern play out throughout the process, people “squeezing” in design time to re-think a school- without the resources, trust-building, think-time, or support for it to be meaningful. Parents and teachers are busy at different times during the day and both parties are often burnt out by the end of the day. How can a school redesign team align around a plan to transform a school in 2+ hours? It leads many in our school community to feel like we are being set up to fail or that there is a plan in place already. The district has to let school communities plan their own school, provide the resources needed for those communities to come together, and identify the root causes that play out in their school and address them in their school design. There can be no pre-made blue print. One of the biggest challenges our district is facing is sustainability as students and families are leaving OUSD. According to the Superintendent’s Report sharing survey results about why families are leaving OUSD, of the families who are leaving OUSD schools, 25.6% are leaving because they are not happy with OUSD. Of all those leaving, 54.3% of the students leaving OUSD are choosing charter schools, 18.1% of families leave OUSD because they move out of the area, and 27.6% of the students leaving OUSD are staying in Oakland, but are not choosing OUSD or charter schools. Parents make decisions about where their child will go to school based on what is important to them. For some families proximity is the most important and they look for the best option in their neighborhood; they are less concerned about whether it’s a district or charter school. Others make their decision based on the program offered at the school. Then there are those who are choosing outside of district and charter schools. These families are picking outside of Oakland public school options going to private schools, driving, or taking the bus outside of Oakland to take their children to school, not going to school at all, or home school. What is Oakland doing to attract these families back to OUSD? Have you ever led a real, grassroots school transformation? Have you ever had a fraught relationship with a community and how did you overcome it? Why do you think you are the person for this job – so many others have struggled to engage communities in authentic redesign? What makes your a well positioned candidate? 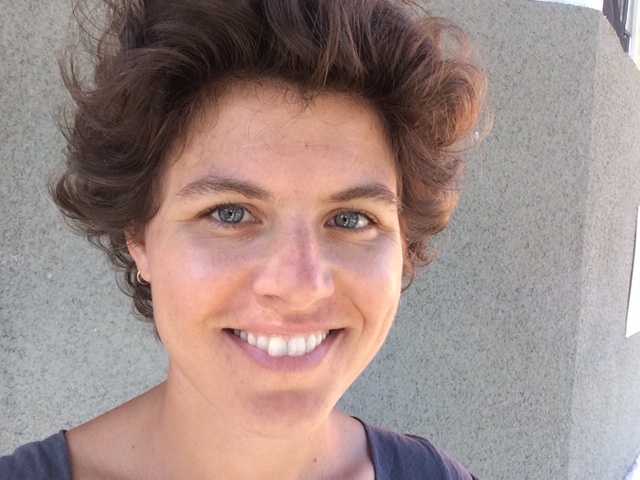 Caitlin Healey is in her 6th year teaching in Oakland Unified School District. She taught at Howard Elementary school for 3 years and is currently an education specialist in a K-2 moderate to severe Special Day Class at Emerson Elementary School. We would like to recognize Emerson Elementary and the school site team for their diligent efforts around school transformation. This work is multifaceted and we want to appreciate all those committed to high achievement for students at Emerson, and across the district. Caitlin’s observations reflect the complexities and needs of school transformation from a systems level and the critical role the next superintendent has in creating the vision and conditions to facilitate this work toward improved student outcomes. 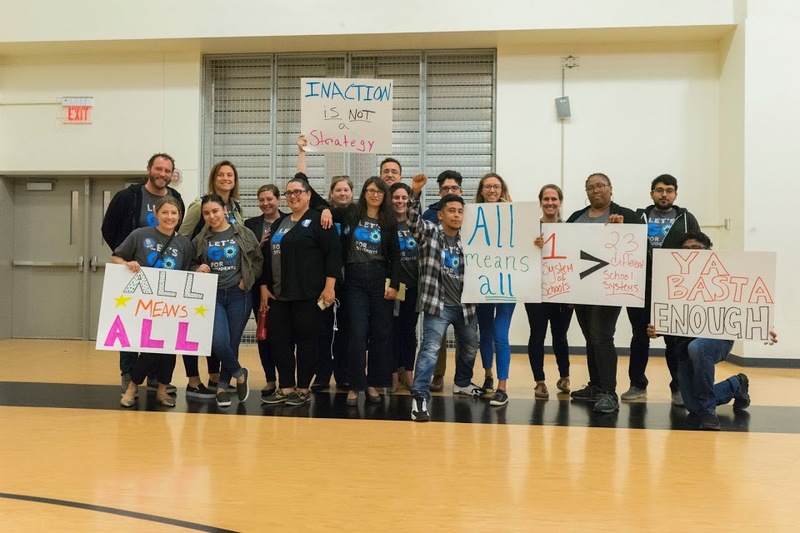 As shared in a letter to the school board, members of the GO network call on the board to hire a superintendent who is community-driven, equity-focused and a systems thinker — all qualities critical to successful school transformation and ensure all students have access to an excellent education.